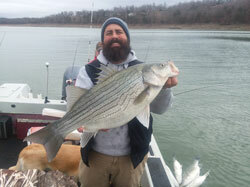 Arkansas is a wonderful state where we can share outdoor experiences. The Ozarks are surrounded by beautiful scenery, lakes, and rivers. Here, in Mountain Home, we are blessed with two great lakes, Bull Shoals and Lake Norfork, and three famous rivers White, Norfork, and Buffalo. The outdoor person can fish in the morning and hunt in the afternoon, or any combination of these. 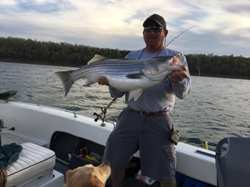 Norfork Lake is world famous for its stripers, and now, walleye, Bull Shoals Lake is known for its trout, bass, and walleye. The rivers are home to world record trout that visitors from around the world come to test their angling skills against. A lot of people ask about the gear we use. Click here to see the products we use. 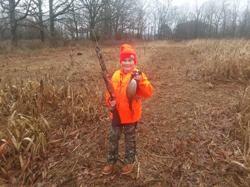 Pheasant Hunting Packages click here. 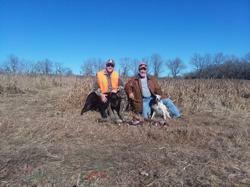 Pheasant: Cast & Blast package from Oct 15th thru March. for two or more people. 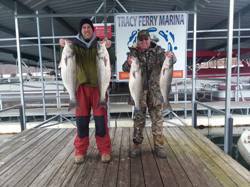 The package includes a 5 day four night lodging, 2 full days guided striper trips on Lake Norfork, (all tackle & bait included), and a half day pheasant hunt. 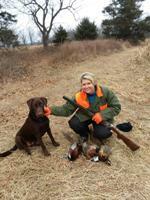 The pheasant hunt includes 8 birds per person, license, bird processing, & guide. You get all this for $1500 for two people, excludes meals, Arkansas fishing lic, and tax. Call 877-246-4896 for available days or email at tom@stroutfitters.com for more information or to book this package. 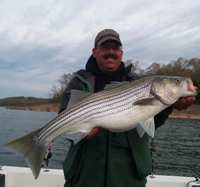 Come visit our beautiful state and let STR Outfitters provide you with a fishing and hunting experience of a life time.